It’s a gig economy we live in. It comes as no surprise that close to 50% of millennials are already freelancing, while the number of young professionals who choose to work in the comfort of their homes keeps rising. Freelancing is not a side hustle anymore, but a full-time job. And just like in any other “normal” or 9-5 job, there’s always room for improvement. It might be your lucky day! 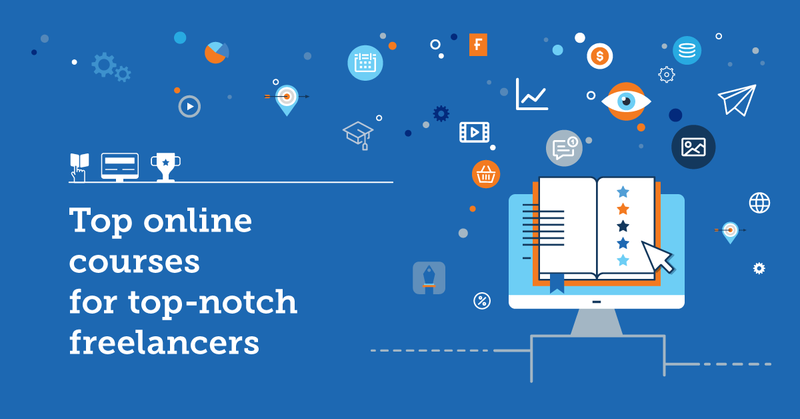 Because this is what we wanted to do for you when we thought about creating this list of the best 75 online courses for freelancers. Help you up your game! At the end of this post, you’ll also find more courses depending on the industry you’re in. See? We’ve got every single one of you covered–a little self-applauding never hurt nobody. Before we begin, though, bookmark this page, because you never know when you might need one of the courses on this list. Enough chit-chat! Let the courses begin! So, you feel ready to launch your own business. You want the freedom to work from wherever, whenever and make up the rules as you go. Hang in there, tiger. You first need to know where to start. This is what the two next freelance courses are all about! Seth Godin has only one objective: to teach you everything about freelancing. Are you already a freelancer looking for valuable advice on how to make more money without suffering a Britney 2007 meltdown? Are you a newbie? This course, created by the Dalai Lama of freelancers, is filled with precious advice on how you can start earning more money freelancing today no matter your experience or current level. “This is not a course for people who seek shortcuts, guaranteed results, and an easy path,” Godin says. And he’s right. Gignac, a modern-day version of Mad Men’s Don Draper, knows what freelancers must learn to get more clients and money. He runs Working Not Working, a platform which connects companies with the world’s best creatives. So, if you’ve been itching to go freelance, or you’re looking for a brief, yet complete dive into the essentials of the freelance world, you’ve come to the right place. Learn how to create a portfolio that converts, how to market your freelance business, pitch media, network, and much (trust us, much!) more. Freelancing is a one-man show. You need to be your own boss, your own marketer, accountant; to cut a long story short, all roles are yours. Don’t worry, here are the courses that will help you figure things out. If business coaches had a band, Lewis Howes would be the frontman. He’s an author, athlete, and was recognized as one of the top 100 entrepreneurs in the US under 30 by Barack Obama. If this isn’t rockstar material, we don’t know what is. With the help of his two “bandmates” (with remarkable instructing chops too), Lewis will teach you how to turn your passion into profit, create sellable products, market your online business, sell, and earn. Big time. This is not a course but a whole specialization, developed by the Michigan State University. It’s made up of six different courses involving everything: from harnessing creativity to launching and growing your business. Of course, you can take each course separately. The overall goal is to help learners develop an entrepreneurial mindset, so they can identify ideas they can benefit from, as well as generate a successful plan. David Wheeler is an expert at new media strategies, while Ken Szymusiak and Forrest S. Carter are both experienced academics. So, as you can imagine, you’ll be in good hands. You have to make decisions for your freelance business all the time. Should you work on this project or that? Should you charge $500 or $5000? This course is for those who have a hard time making up their mind about a critical decision that will either boom or bomb their business. Get to know the basics of critical thinking, decision making, and how to recognize what you don’t know to reduce risk. As a successful author, founder of thoughtLEADERS, LLC, and a nationally recognized speaker, Figliuolo has found himself in many different scenarios where he had to make bold decisions. So, yes, he sounds like the ideal instructor for this topic. Trying out a creative career path isn’t an easy task. For starters, there’s huge competition, and the fact that clients need some “proof” of your talent doesn’t ease the process. With this course, you’ll be able to ward off your worries. Kristin Ellison is a former designer, writer, editor, and content manager for the design segment at Lynda. This creative lady teamed up with another creativity enchantress, Diane Domeyer from The Creative Group to create this online class every professional should take. You’ll learn what makes professionals in the creative job market successful. You’ll see how to stay relevant, brand yourself, create a portfolio, understand your market value, and much more. Who doesn’t know this entrepreneurship magician? Guy Kawasaki, author of 13 books and a true mastermind, is one of the most influential people in Silicon Valley. If you take this course, you’re basically giving yourself a gift. You’ll learn how to materialize an idea you’re passionate about and thrive when putting it into action. You’ll also figure out what steps you should make and which ones you should avoid when you’re getting down and dirty with the entrepreneurship world. All via interactive exercises, which also work as four-star practice. Seriously. This course is a must. Are you a freelancer? Then you’re an entrepreneur. Period. This free course is everything you need if you want to take baby steps towards the peculiar, yet exciting business world. Oh, guys. This is important. Let us tell you why. Sure, a business plan is useful for pitching investors and raising capital. But it’s also a brilliant way to collect and communicate your ideas. It helps you set clear goals, create a step-by-step guide to meeting them, and triumph. Think of it as your business manual. This course will teach you how to create a complete business plan while avoiding all the common (and not-so-common) pitfalls, so you can step confidently into freelancing. At the end of the day, it’s all about sales. Selling yourself, your projects, your ideas, your stories. Without sales, there’s no revenue. And without revenue, there’s no business. The following 6 courses all focus on sales, but each one from a different perspective. If your idea of sales is that it’s an icky tactic, think again. Braintrust founder, Jeff Bloomfield, breaks down the ways big sales players see through the eyes of their customers. And how their actions are usually driven by an honest desire to help others solve problems. You’ll learn how to identify your customers’ need, position your goods in the market, and identify the gaps in your sales strategy. “If you own your own small business, you’re in a 100% sales commission job,” Tamara Lackey, a portrait photographer who’s sold hundreds of photographs in massive media outlets, says. And it’s 100% true. This course will teach you how to conquer the fear of criticism, sell your work for what it’s truly worth, and create meaningful relationships with your clients. No matter your industry, selling like a real professional is vital for your business. And the reason is that salespeople don’t really think about marketing tactics when they’re selling. John Jantsch, award-winning social media publisher and author of two Wall Street Journal best-selling books, is trying to change that. With this course you’re going to learn how to position your business as an authority in your niche. You’ll find out how to use internet research and the old-fashioned word-of-mouth marketing, as well as new selling processes. All these contribute to stress-free, almost passive sales. And you want that, don’t you? Featured in The New York Times, BBC, and Forbes, among others, this is a course for those whose sales rely mainly on pitching. If you’re not sure how to appear confident or close deals, this course is the best tool to understand and master the mechanics of communication style. From body language to voice quality, this course has it all. What’s more, it’s highly interactive, with exercises in virtual reality for a unique, futuristic learning approach. It’s not just about pitching an idea–which is also covered in this innovative and free LinkedIn course. It’s also about pitching yourself. Jodi Glickman, founder of Great On The Job, takes a totally different approach to sales by introducing a breakthrough tip on how to sell an idea to a potential client, investor, boss, or anyone: sell yourself first. It’s just a three-step journey to a great pitch: destination, backstory, and connecting the dots. Learn how you should present yourself, become more relatable, and, finally, sell. In business, negotiation is key. Actually, good negotiation skills are essential to every aspect of life. Could this be the reason this course, developed by George Siedel, is one of the best-selling online courses in history? You’ll learn all the strategic planning required to reach a beneficial agreement. When should you walk away? When should you give a number? What method should you use? All these questions are now answered in this career-changing course. You need marketing. Without marketing, your services would get lost in cyberspace. You (and maybe your great-cousin Larry) would be the only ones familiar with your brand name, and your revenue would be zero. Here are 8 marketing courses for those of you looking to pass your message to even more potential customers! 12 courses in 1? Almost 200,000 students enrolled? 33K ratings with 4.4 stars out of 5? Why haven’t you already taken this course? This is the ultimate digital marketing course. You’ll learn how to market and sell your products and work as a digital marketer. You’ll learn about affiliate marketing techniques, social media magic, SEO tricks, and how to use Google platforms. Both of the instructors know exactly what they’re talking about. And their average 4.45 instructor rating proves it. Even better news? All you need to do to get the course is to register for a free My.Copyblogger account. You can’t go wrong with this course. Because it includes lessons on every single social medium you can imagine–yes, even Snapchat! There’s no other course out there right now with a more complete overview of social media marketing and management. Learn all the basics about social media marketing and how to create, post, and monitor ads on 10+ platforms. 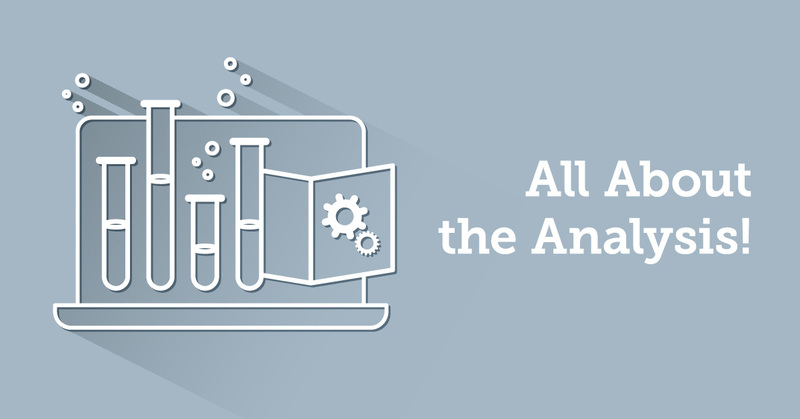 Google Analytics is an important weapon in your freelancing arsenal. Analytics tell you how your website(s), app(s), sales and subscriptions are performing. You can see how your visitors/users are behaving, and what decisions you need to make to meet success. 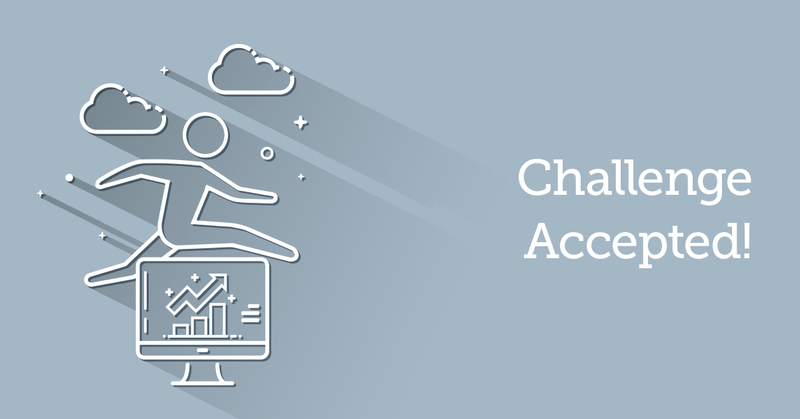 In this course, Corey Koberg, author and certified trainer in Google Analytics, dives into the mysterious world of web metrics to help you figure out what you should and shouldn’t do. Everybody wants to be on the first page of Google. But how do you get there? By following Rand Fishkin’s advice. As the co-founder of MOZ and the CEO of SparkToro (an innovative search engine software you can read more about here), he’s one of the best to teach you how to climb up those Google results. In this course, you’ll learn SEO fundamentals as well as how to create an SEO strategy and optimize content for SEO purposes. More than 281 billion emails are sent every day. With all this competition, it’s imperative to learn ways to write better emails. Emails that people are happy to see when they land in their inboxes. Developed by The British Council, this course teaches how to plan, organize, write, and edit your own emails depending on your audience and the situation. We know what you’re thinking: “Where has this been all my life?” You’re welcome. Enroll now and get notified when the course starts again. It’s time to take your email writing skills up to an eleven. How? With email marketing. Delivered by one of the best email marketing experts today, Karen Talavera, this course will help you identify your target audience, design your first email campaign, and monitor performance to make any potential adjustments. It sounds simple, huh? It’s not! You’re about to learn a whole new science. Ran Segall from nuSchool, however, can’t tolerate it. And this is the exact reason why he created this mini “master class,” as he calls it: to share his ethical marketing philosophy. Learn how to market yourself as a freelancer with this motivating class and build a profitable and honest business. Get your clients to trust you-not because you’re a big fat liar, but because you’re truly worth it. Paperwork. We all hate it. We all need it. The following 5 courses are designed for freelancers and small business owners who want to take care of their own finances and step into the odd world of accounting. Trust us. It’s a complete rabbit hole. Don’t worry, we’ve stuck to the basics. Voila! To cover the basics of your personal finance, this course is all you need. Richard Okumoto, experienced university teacher, will help you understand everything from debt management and investing to taxes and insurance. The good news? You don’t need any advanced accounting skills to take this course except for some basic math knowledge. The #1 best-selling accounting course on Udemy, featured on Business Insider, is here. There’s something magical about this course. You can become a semi-expert in finance, accounting, valuation, modeling, and financial ratios without any prior experience. By the end of this, you’ll be in a position to extract data, analyze your income statement, and, eventually, create financial models. This way you’ll be able to monitor how your freelance business is performing, what changes you need to make, and almost predict your financial future. We’re talking about the real deal here. A course you should absolutely invest in. If we had a dollar for every time someone said they’re useless at bookkeeping, we’d be richer than Bill Gates, Jeff Bezos, and that random guy who surpassed both of them for a minute or so. But you have to keep track of your assets, expenses, profits, and all that other stuff which form the number you see when you log into your online banking. Everything you need to know about accounting and bookkeeping comes in this course, created by the Open University and taught by Senior Lecturer, Devendra Kodwani. By the end, you’ll have mastered basic management and finance-oriented skills so you can become your own accountant. And when all is said and done, you’ll be able to balance your books. To create financial reports and balance your books, you’re going to need to work with Excel. In this simple LinkedIn course, you’ll understand how to create spreadsheets and manage them for any purpose you want. You’ll start with the basics and, gradually, you’ll move on to advanced techniques. Before you know it, you’ll have become a true Excel MVP. One of the main problems freelancers face is valuing their work. It’s common for freelancers to rely on clients naming a price. And quite often, you rely on some vague standards set by your specific industry. This course is here to change all of that uncertainty. By the end of it, you’ll be able to set reasonable pricing that will also make you feel good. As a freelancer, you work as much as humanly possible. And sometimes you have to choose whether you’re going for that drink or spending the night working. Because we know how working from home can carry you away until you’ve realized that you’ve been in front of your laptop for 16 hours straight. But it’s 2018, and maintaining a healthy work-life balance is now teachable. These 7 courses will teach you how to stay focused on your projects and get more work done in less time. Not many courses reach a 4.8 star rating. But this one does. Damian Andrews, productivity master, will teach you how to create a daily plan, stick to it, and achieve your daily goals. And he’ll do it all in just 3.5 hours. Did you always envy people who fit everything into their schedule? You don’t have to anymore, because now you’ll be that person. Do you feel that you constantly have too many irons in the fire? Then this course is for you. Productivity ninja, Paul Minors, will show you how to use the latest tech tools and apps to create a daily schedule, aka a productivity system. You’ll basically be breaking the laws of physics and creating more time. When it comes to project management, this woman is one of the best, high-authority voices. And when it comes to getting things done fast, this course is a true diamond. You’ll learn everything about goal achievement, time management, tools and crisis management. This course is mostly directed to project managers, but the learning material is so valuable that every professional should take it if they want to learn how to get more things done faster. Wedding organizing is not for the faint of heart. Mix hundreds of tasks with one of the most important days of someone’s life. Add family and friends to the mix, and a deadline that can’t be changed. What do you get? Hello, stress! This is exactly why Sarah Humphreys, wedding organizer and winner of 2017 Women In Business awards is a unique productivity mentor/ninja/superhero. Sarah teaches how to create a successful 1-month plan, stay focused on what you need to do, destroy any setbacks, and just start working. This last productivity course puts the Eisenhower Matrix technique to use. The Eisenhower method is all about prioritizing tasks exclusively by how important they are. Due date is not the number one factor. Importance is. In this course, designed by Kari Beaulieu, head of marketing for Appfluence, you’re going to get to know The Matrix, and complete tasks like you’re The One. Congratulations! You now know the top 35 courses for your freelancing career no matter your industry, business type, or expertise. Whether it’s about writing for the web or traditional copywriting, these courses will make you a much better writer. A successful freelance copywriter and an online marketing specialist have teamed up to create an outstanding four-part course that will guide you through your freelance copywriting journey. From landing your first gig to boosting your income by creating a website, this course has everything. Have you always dreamed of becoming a paid writer? Here’s your roadmap. If you’re an experienced freelance writer, you probably already know Mediabistro, the mass media industry’s online Madison Square Garden. “Word charmer” Diana Aydin wanted to create a course on the basic rules of copywriting. If you’re looking to improve your brand writing skills, learn how to write for different platforms, and increase your income, this is the right course for you. If cheesiness was water and copywriting was a glass, it would be full to the brim. See? Cheesiness. As Jesse Forrest, chief copywriter at CopywritingCrew, says, there’s so much noise online that, sometimes, you have no clue how to write copy your audience wants to read and your brand needs. With this course, you’ll learn how to write interesting copy, cut the fluff, and focus on good writing instead of stuffing your copy with empty words. Where: American Writers & Artists Inc. This is the most complete guide for writers who aim high. We’re talking six figures a year or higher. This course reveals all the secrets to becoming that writer. One of the founding fathers of freelancing has created this course with one goal in mind: To help writers like you get as rich as Croesus with their writing and pitching techniques. A total must-have! If there’s one thing about blogging that can prove to be a real headache, it’s content planning. This course, created by co-founder and CEO of Corgibytes, will guide you through the hard journey of planning your content, crafting it, uploading it, and promoting it. It’s called “Become a Better Blogger” for a reason. Because by the end of it, you’ll be one. “Exceptional writer.” Yes, this sounds too good to be true. But no. This best-selling writing course on Udemy does what it promises. No wonder it’s been featured in Time magazine and Business Insider. Take this online class and turn yourself into a wonderful writer that clients will pay lots of money to hire. In as little as days or weeks, you’ll spot a huge difference in your writing skills and the way you structure your pieces. The community of freelance marketers keeps growing. Social media, content, pay-per-click, and the list goes on. The funnels are endless, as are the possibilities for you to grow. Here, 13 courses for those who are thinking about getting down and dirty with freelance marketing. This is not just a course, but a full program with seven different instructors, each one special in their niche. Learn how to manage an online brand, examine performance, develop plans, and read consumer psychology like a pro. After that, you’ll be ready to apply all the strategies you’ll have learned within an online context. This is a true eLearning experience you shouldn’t miss. This free course covers every single aspect of content marketing. Get to know what content marketing is and how to develop fantastic storytelling skills. Convert readers into buyers, sell products by communicating via words, and thrive. Want more? It’s free, guys! In case you’ve missed the memo, Instagram is now the hottest name in social media. So, why not make use of this platform to make more money? Turns out that Instagram is not just for posting food and selfies, guys. This niche course focuses on Instagram stories only. And they specifically show you how marketers can use this one feature. 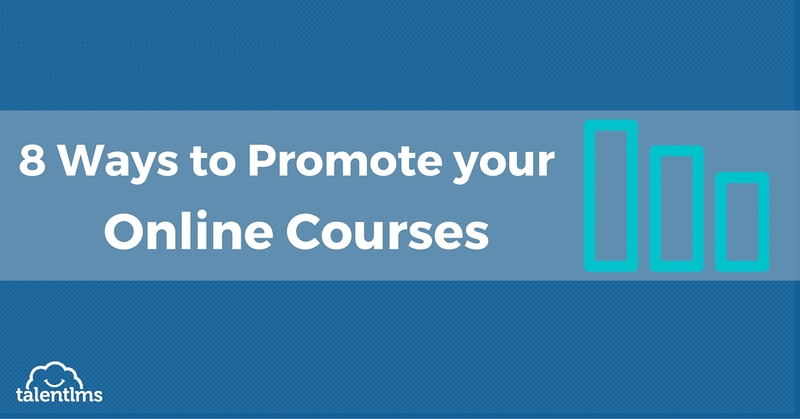 The course covers it all: from creating stunning content, to driving traffic to a website. In this online class, #InstagramGal Sue B. Zimmerman, explains how the IG algorithm works and how you can master it. She also dives into content organization, hashtag and followers research as well as how to make a strategic posting schedule. Want thousands of social media shares? Duh. Do you know what makes content viral? You don’t need to, because Jonah Berger does. New York Times bestselling author of “Contagious: Why Things Catch On”, Professor Jonah Berger condenses all his research into one course where you’ll learn all the techniques to create viral content and get your audience to engage, react, and share. Despite rumors, Facebook is not dead. The platform still has more than 2.2 billion monthly active users. So, play your cards right and you could potentially reach millions of people that you can then convert into customers. Daragh Walsh and Rob Percival know how. Their course is the ultimate Facebook Ads online class where you’ll learn how to create ads, post them, and monitor them like a real professional. No matter your level of experience, you’ll definitely learn a couple of things you can try immediately. Video is huge. Read it again. Video is huge! In fact, it might be the only means of communication that can bring your business to life, give it personality so more people can connect, and then convert them from viewers to customers. This course is all about using video to grow your business. You’ll learn some basic video production, how to edit so you can reflect your brand’s voice, and promote your product for engagement and conversions. Lou Bortone, a video marketing innovator, will be your guide through this journey. Ali Mirza, founder of iSocialYou, has worked with Fortune 500 companies, startups and small businesses in his 10-plus-year career. This makes him the ideal instructor for this in-depth Twitter course. You’ll learn how to write tweets that will get you more Twitter followers, how to build communication bridges between your brand and customers, and ways to increase your engagement rates. Pinterest engages audience. A lot! So, if you’re a freelancer in an image-driven industry, Pinterest should be one of your go-to mediums. Learn how Pinterest works, what drives conversions, how to create pictures that stand out in the crowd, and how to use it to increase your income. Don’t worry. JC Marzett is an amazing instructor with a 27-year-long experience in business strategy. You’ll be in good hands! Email marketing is one of the most underrated promotion strategies. Despite many marketers relying exclusively on mass measures like social media, email fills a specific gap in Internet Marketing: personalization. Users get the chance to receive your news, offers, etc., in their private inbox. Email and Newsletter Marketing Foundations is the best course to help you leverage the power of email marketing. With the help of Megan Adams, you’re going to learn how to create a mailing list, grow it, and create powerful campaigns you can monitor. All in 45 minutes or less. For SEO enthusiasts, Tommy Griffith is basically a legend. He’s worked for companies like PayPal and Airbnb, so he’s the perfect mentor if you want to up your SEO game. If we had to describe this course in just two words we’d just say “Oh, snap!” Because we’re talking about the ultimate resource that shows you how to take your content, optimize it, and 10x your organic traffic. Pay per Click advertising never gets old. Are you a newbie? A professional? A guru? It doesn’t matter! This course is for everyone. With 22 hours of video and the highest student satisfaction rating in Udemy’s entire marketing and advertising section, we’re talking about a real treasure. Learn how to create Google ads that convert, how to target the right keywords for any industry, and the needs of PPC advertising. This is not just a course. It’s a real-time, ongoing series. How cool is that? Every two weeks, Martin Waxman, super digital media strategist, will send you a new mini-course focused on a different topic. In no time, you’ll be familiar with the latest trends in the industry. From voice search and chatbots to AI and GDPR, this series covers everything you could ever imagine. Graphic design isn’t just an art form. It’s an industry that’s been booming since the first display ads came out. But graphic design changes at a fast pace. To be at the top of your game, you need to constantly educate yourself to keep up with your competition as well as new tech advancements. To help you develop into the best version of your professional self, we’ve put together a list of the best 8 online courses. Doesn’t matter if you’re a beginner or an experienced designer. We’ve got you aaall covered. If you’re fascinated by the world of design and you’ve decided that freelance graphic design is the right path for you, then you’ll need an introductory course. This is what this free course is all about. An introduction to the world of graphic design by one of the most educated designers in the industry. You’ll learn what graphic design is, what your job as a graphic designer should be, how to design, and what you need to succeed. In the course above, you had the chance to take a look at the fundamentals of graphic design. In this one, you’re going to put all the knowledge you acquired into practice. The trip begins with the whole graphic design process definition. Second stop: historical context of design. Third: image making and typography. Get all the interface design, motion graphics, and editorial design skills by some of the best names in the market. What would the world be without Photoshop? What would Kim Kardashian do? In this course you’ll earn all the Photoshop skills you ever wished for. You’re going to start small, take some baby steps, and then become a true professional with the help of an honest Adobe Design mastermind: Martin Perhiniak. Yes, he’s a designer. An exceptional one. If you’re thinking of extending your skill set to include vectors, illustrations, and typography, Adobe Illustrator is the number one program you need. This course, created by high-profile designer, Eric Vasquez, will help you get a general idea of how you can work with Adobe Illustrator. It’s not recommended for advanced users, of course. Ask any person (not a graphic designer) about the Adobe Suite. Most likely, Photoshop will be the first to pop up in their minds. Illustrator too, maybe. Adobe InDesign? Never. This beginner’s course on InDesign will help you get started by working on real-life projects like brochures, newsletters, flyers, and long reports. To create a successful newsletter, you need to design a lot. A lot. And this is exactly why Nigel French, a professional graphic designer with 20 years of experience, created this course on newsletters combined with some productivity tips for graphic designers. With these real-life examples, you’re going to learn how to plan, create, work on, and export an unforgettable newsletter to knock your clients’ socks off. Infographics and data visualizations are two areas that every modern-day graphic designer should, sooner or later, master. And one of the best infographics courses out there is this one. During your online class, your instructor will show you how to create instructional illustrations that communicate effectively with your audience, perform well, engage, and convert. Last but not least, another huge, creative graphic design area: typography. Graphic designers work with fonts all the time. There’s almost no logo out there without some lettering, nor any chance that a graphic designer will never have to work with text. This online class is your fonts Bible. This free online workshop teaches you how to determine your font compositions, practice them, and understand how complexity can become an actual art form. The niche is exploding. The number of freelance web designers and developers keeps growing, while more and more companies hire remote workers in these positions. And this is exactly why we’ve put together a list of the 9 best courses for web developers and web designers who’ve already gone or are thinking about going freelance. It wouldn’t be fair to call this a course. It’s a whole program composed of 18 different courses that you can, of course, take separately. However, if you’re looking for one program to rule them all, this is it. By the end of this track, you’ll be free to consider yourself a web designer. This is how valuable it really is. There are two main types of devs. Front-end, who specialize in websites and apps, and back-end, whose responsibilities include servers, maintenance and databases. With this course, however, you can become a full-stack developer, ready to take on tasks from any of the above categories. Ray Villalobos will show you all the tools and skills full-stack development requires, plus tips on training, getting the job(s), and earning big. A full-stack course, one could say. Have you always wanted to become a mobile app developer but you didn’t know where to start? Do you want to freshen up your app building skills? This is the ideal course for you. Learn how to work with HTTP, screen navigation, geolocation, camera permissions, and Ionic tools that will bring you one step closer to releasing the next Candy Crush competitor. Fingers crossed! As we speak, there are 75 million WordPress websites published. Hundreds of popular websites like TED, Etsy, even Whitehouse.gov use WordPress as their main CMS. So, as you can understand, WordPress experts are in high demand right now. In this 4.7/5-rated course, Brad Schiff, experienced web development instructor and YouTuber, will help you unlock the full power of the famed CMS that’s been the one and only solution for high-authority companies around the globe. Building a website in a preset environment is not an easy task. There’s a common belief there are specific parameters you need to consider and never get out of frame. But with this course you’re going to learn how you can expand your imagination by using code to develop WordPress themes, modify the website’s performance, and change the way it functions and feels. UI design has become a priority. Today, more than ever, companies are interested in designing user-friendly apps and websites because of all this advanced user interaction. Erik Kennedy, an incredibly talented UX + UI designer, has created this course for those who’ve always wanted to design but felt intimidated. Don’t fool yourselves. This is not an easy class. After all, this is why it’s considered to be one of the best out there! No matter your level of experience, this is a course you want to take. Harry Roberts is an award-winning front-end architect who specializes in high-quality, clean, scalable user interface. In this course you’re going to learn Harry’s innovative approach, how CSS works, and how to create stable, lasting code. After all, we’re talking about a guy who’s worked with Google, Etsy, BBC, Booking, Kickstarter, and other super-companies. It all starts with a design. So, in this course, you’ll learn how to use Adobe’s golden child, Photoshop, to create website designs that your clients will love. Cristian Doru Barin says that he has earned over $50,000 by doing what he teaches in this course. Part-time. Yes, part-time. Forget about code (for the moment) and start designing like you were an artist. With a pen and a …digital paper. Or screen. Take a look at your phone and tell me you don’t have at least 10 apps installed. And no. The presets don’t count. This is precisely why app designing is a big opportunity for many freelancers. And Joseph Angelo Todaro’s course is both the best you can find online right now and the highest rated in its category. Learn how to create visually compelling apps that work and aim for the ultimate user experience! So, you didn’t go to Harvard. (Most of us didn’t even apply). But now you can learn from a Harvard lecturer. In this course you’ll understand how Joomla, one of the most popular CMSs out there works as well as how to install, configure, and administer it. Jen Kramer has put together an incredible course for both newbies and sophisticated users who want to become Joomla gurus. Videos today are among the best and most direct ways to express feelings, ideas, solutions, or even branded content. The following 6 courses are the best in the field right now. They’ll help you understand how video production works, as well as how to use the latest and most popular software in the market. In this online class, you’ll find valuable advice on what to look for in a new video camera: how to record sound, all the basic script writing techniques, how to shoot professional videos, write scripts, and more. Sounds like a course for beginners, because, to be honest, it is. For more sophisticated courses, keep reading. Time to get a bit more creative. And practical. This is exactly what video lighting does. By simply moving a lamp around, you can change your entire video’s feeling and mood. This course teaches you how to identify the right lighting set each video type requires, and how to achieve professional results depending on your objectives. This is not a theoretical course. Jem takes you with him on set, with his equipment, where you can see all of his tips in action. When it comes to video shooting, TV professionals have a lot of experience for one main reason: TV camera operators are required to shoot editor-friendly footage. So, if you want to improve the quality of your videos, engage people, and give your raw footage “oomph,” this is the course you’ve been looking for. Andrew St. Pierre White is not just a broadcaster. He is an award-winning editor, director, cinematographer, teacher, and YouTuber. Sounds like a high-standard teacher, huh? Adobe Premiere has always been one of the hottest video editing programs. However, mastering it demands a lot of studying and hands-on practice. This course, on the other hand, is designed for those who want to learn how to use Adobe Premiere Pro in just a few hours. You’ll learn specifically how to edit your footage and give it that “oomph” it might have been missing. Yes, it’s possible. And Phil Ebiner has done some awesome work with this lesson. Move from the basic to the advanced Premiere techniques in just 4.5 hours! For Mac users, Final Cut Pro X is the best video editing software. And this course will fuel your creativity and turn you into an absolute pro. John Lynn, praised by enormous agencies such as NASA, MTV, and CIA, takes a 100% practical approach to teaching learners. You’ll even be required to complete a whole project by the end of the course. No, this is not just for beginners. But, at the same time, it’s not for sophisticated video editors either. It is for beginners, advanced, and anyone in between. Adobe After Effects is a whole new science. The most complex Adobe video tool in the whole suite. It’s about creating your own stunning visual and special effects to wow your viewers. With this course, and in just 2 hours, you can do it. Ruan Lotter is a filmmaker from Cape Town, South Africa, and he’s worked on a number of projects with Adobe After Effects, so we’re actually talking about a VFX ninja. Learn how to hold fire in your hand, move objects with your mind, and fly. 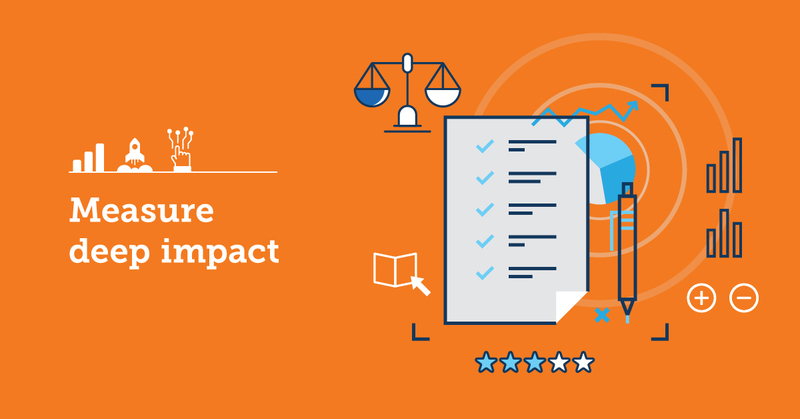 Disclaimer: Course prices may vary depending on season, special offers, re-pricing, Mercury retrograde, and other external factors beyond TalentLMS’ powers.